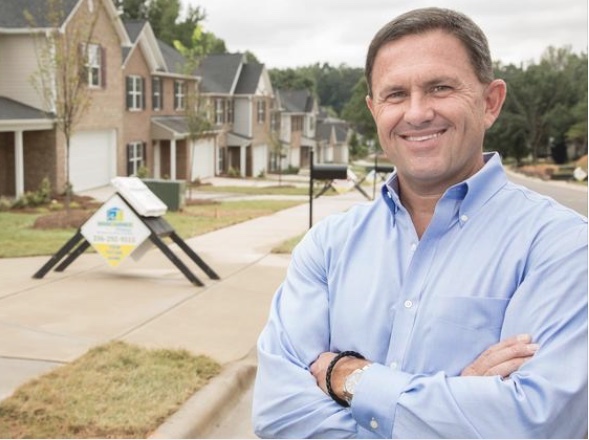 Fast-growing Triad homebuilder picks up speed after buyout. The following article was written by John Brasier and featured in the Triad Business Journal. 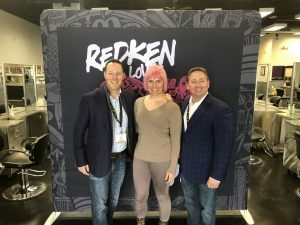 If you think Wade Jurney has slowed down since selling the remainder of his company – the fastest-growing home builder in the nation in from 2015 to 2017 – think again. The Mt. Airy native, who built his empire in Greensboro over the past 17 years, is busier than ever. And much harder to track. On Oct. 31, 2016, Jurney sold 50 percent of Wade Jurney Homesto Colorado-based Century Communities (NYSE: CCS) for $15 million, allowing Wade Jurney Homes to accelerate its already rapid growth. In June, Century bought out the remaining 50 percent interest in WJH for an additional $37.5 million,with Jurney staying on as president of WJH. In the three months since WJH came under the full umbrella of Century as a subsidiary, the 47-year-old Jurney has spent most of his time on the road, rapidly expanding his company’s footprint during the housing boom. The pace is hectic, he admits, but without many of the headaches he endured as a private builder. Jurney goes wherever he sees a market for new homes priced between $150,000 and $200,000 – the average price is closer to $150,000 – and where land prices and availability make building such homes possible. Formerly in a handful of southeastern states, WJH has already expanded its reach as far north as Michigan, as far south as Texas’ Rio Grande Valley, and as far west as Arizona. Often, the trips aren’t glamourous. To meet his land prices, Jurney typically finds himself in tertiary markets such as Tulsa, Chattanooga or Knoxville, or on the outer rim of major cities such as Atlanta, Dallas and Detroit. Yes, Detroit. On mostly the periphery (as far as 80 miles from the Motor City), Jurney has put in offers for about 500 lots. He hopes to start about 150 spec homes this month. Jurney even goes to small towns or cities such as Wilson in North Carolina, and Manning and Johnsonville in South Carolina. In the Triad, he recently bought lots in rural Snow Camp. One week, he went to Phoenix. Another, went to Des Moines, Iowa. One week, he went to Houston. Another, he went to Bentonville, Arkansas. Jurney is looking just about everywhere in the continental United States except New England, where the high price and scarcity of land make it particularly difficult for him to operate in his niche. Most of Jurney’s time on the road is spent checking out lots scouted out by agents from the area – he does a lot of studying about particular areas prior to his trips. Ask him a question about the composition of the competition and the demographics in any market in the country, and he’ll have an informed answer. Jurney said his favorite markets of entry are those where local private builders are thriving without much competition from public giants such as D.R. Horton, which has an “Express Homes” brand that targets starter home buyers. He also tries to take in a little local flavor. For example, while checking out Bentonville and northwest Arkansas, he made sure to visit late Walmart tycoon Sam Walton’s first independent store. When told of a McDonald’s with a glass floor looking down on I-44 (Route 66) in northeast Oklahoma, he found the location on his smart phone made a note to visit on his next trip to Tulsa. “I’ll do some sightseeing sometimes,” Jurney said. But the trips are mostly business. And at least through the fall, Jurney plans to be on the road each week from Monday through Thursday, sometimes on weekends, too. But most weekends, he’s either at his home in Greensboro, or at a second residence in Naples, Florida. He has two daughters who attend high school in Greensboro. The sale of the remaining 50 percent of his company to Century has freed Jurney to travel in search of sites .Century, which builds homes that sell for an average close to $400,000, now takes care of many of the arduous tasks Jurney previously had to tackle – like getting the loans for the purchase of each lot approved individually. Various administrative tasks, including human resources, legal work and accounting, are now done by Century. Jurney uses statistics, such as the number of home permits submitted in a market in the past year, and compares that with the population for a normally accurate gauge of potential demand. For example, he noted that only 19 permits were granted last year in Terre Haute, Indiana, which has a population of more than 60,000. That’s a market Jurney feels confident he could tap. “There are no new homes available there,” Jurney explained. So in many of the places Jurney is going, there is little competition. Jurney pores over industry lists to find the best targets. He knows which markets are in Builders Magazine’s Top 40 markets for new home permits, often the toughest markets for his niche. More importantly, he knows which markets are ranked from 41 to 100, often his most attractive targets. By scouring the nation for the best lot values, offering only standard features, and only selling online, he keeps prices down. If Jurney is unfamiliar with the market, he finds someone who is, and the search for a lot package starts. Meanwhile, he makes contacts who can help him with the next round of building in the market. Jurney works diligently not to waste time or money. His company buys finished lots, and begins construction as soon as possible after purchase. Wade Jurney Homes stays lean. No lot development costs. Very little longterm inventory – Jurney said only 3 percent of his finished homes remain unsold. When Jurney agreed to sell 50 percent of his company to Century for $15 million in fall 2016, the deal called for an option in three years for Century to buy the remaining shares, or for Jurney to buy back the entire company if he didn’t like Century’s offer. Instead, it took only 18 months. Though he was not paid in Century stock, Jurney told Triad Business Journal that he has since purchased Century stock via the market. For the 12-month period that ended June 30, WJH closed 2,190 homes, generating $330 million in revenue. On the same date, WJH owned or controlled 6,828 lots and had 1,262 homes in backlog, representing a value of $198 million. Jurney said the marriage to Century was a success from the start. In May 2018, brothers Dale and Robert Francescon, co-CEOs of Century, offered Jurney a structured buyout over five years, which Jurney accepted. The deal made Century the 10th largest U.S. homebuilder based on pro forma 2017 deliveries with combined homebuilding operations in 12 states. The market considered it a good move by Century – the company’s stock immediately went up more than 5 percent. “With the strength of our capital resources, national scale and operating infrastructure, coupled with Wade’s operational expertise, we are now even better situated to expand the success of Wade Jurney Homes’ unique operating model into additional markets,” Robert Francescon said. Dale Francescon said it didn’t take long for Century after its initial 50 percent purchase of WJH to see evidence that the partnership was a good fit. He said WJH exceeded Century’s expectations in every quarter since the original partnership was signed in fall 2016. “Our partnership with Wade Jurney Homes has been extremely positive and allowed us to benefit from increasing demand for entry-level homes through a high-returning asset-light model and enhanced geographic exposure to one of the fastest growing regions of the country,” he said. The booming housing market has accelerated Jurney’s momentum. Wade Jurney Homes, on path to close on between 2,500 and 3,000 homes in 2018, has about 225 employees — as many as one-third in the Triad. Jurney said he expects to have 100 Triad employees “very soon.” He expects to make a significant gain in closings next year. But Jurney’s ability to control costs, from lot purchase to standardized designs and online sales, separates it from competitors. Jurney said Century hasn’t shown any indication it would tinker with his business model. “They’ve kept it the same because our recipe is working,” Jurney said.